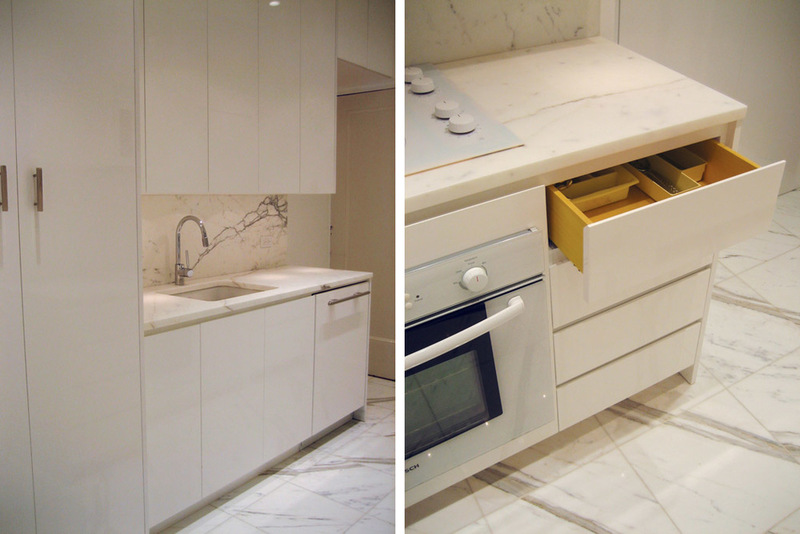 In this compact apartment on Park Avenue we installed cabinets, countertops and flooring constructed of white marble. The floor was designed to match the backsplash behind the sink. 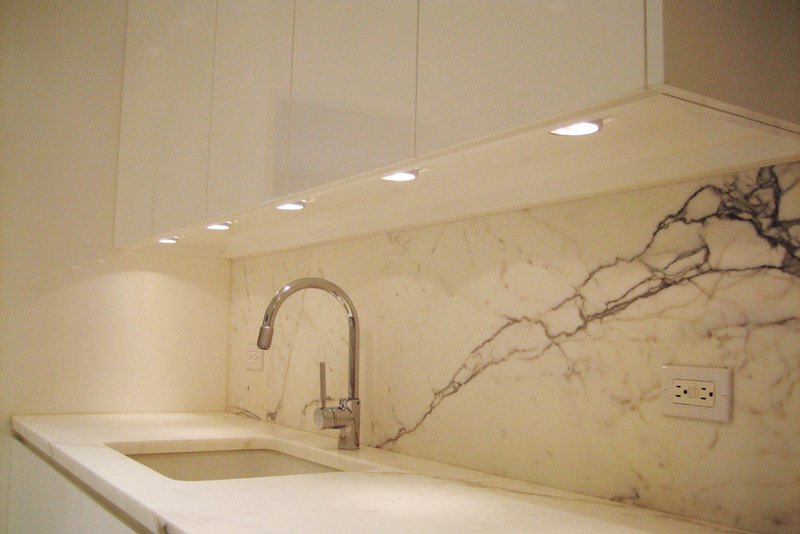 Flush cabinetry and a lack of protruding pulls offer a minimalist look. A floating cabinet is suspended from the ceiling above an island in this Manhattan loft. An extension offers a bar and sideboard area constructed of matching steel and bamboo. These complimentary kitchen cabinets fit perfectly within this room’s existing niches, adding cabinet, counter and storage space, while obstructing as little floor space as possible. The wider cabinet features transparent enclosed cabinetry that serves both as a design element and a part of the piece’s functionality, allowing the family who lives here to easily locate and access plates and other kitchenware. The counter doubles as a cutting board and is constructed of maple butcher block. 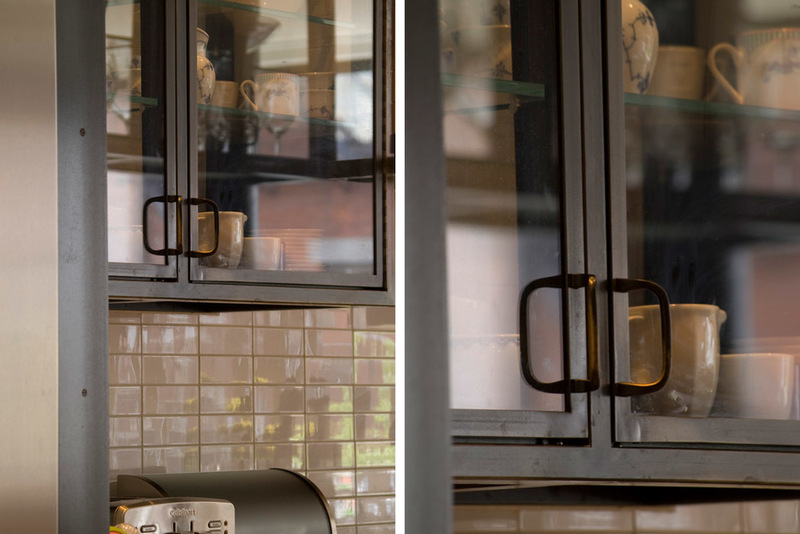 The more narrow cabinet is designed to double as a wine rack and display area for glassware. Deep lower cabinets in both units allow for ample enclosed storage to ensure the space is kept uncluttered.